It wasn’t that long ago that photography was an activity which could only pursued by those with ample amounts of time, money, and patience. From the earliest days of plate exposures to the Brownie camera era of the 1900s, photography was frustrating, expensive, and time-consuming. 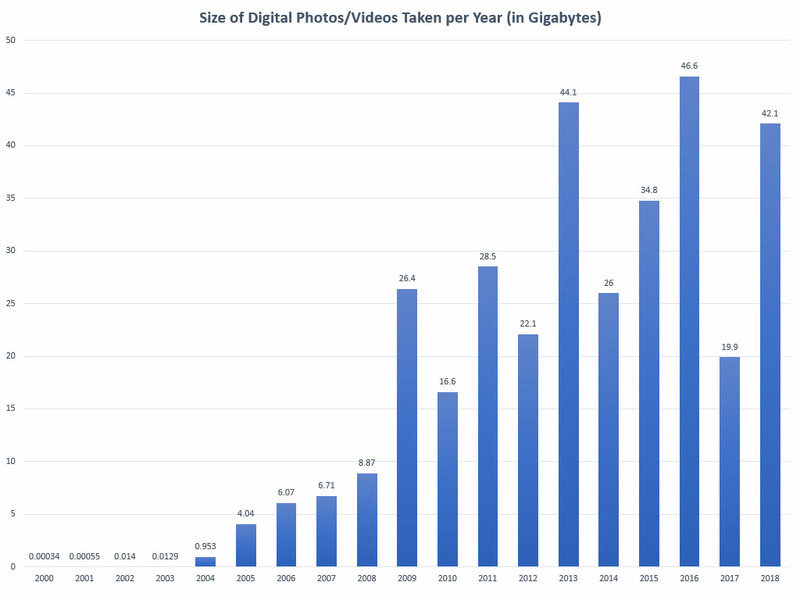 By the 1990s, the technology had evolved and the cost of materials had come down so much that an average person could load a roll of film into a 35mm SLR camera and capture a quality image with very little effort or cost. And yet, we were still very much a society who used cameras only as a tool to capture special occasions such as weddings, birthdays, Christmases, and other memorable events. A family would have no trouble organizing an entire lifetime’s worth of photographs into just a few albums, because people simply didn’t take photos very often. Now in the era of high-resolution digital cameras and cheap storage, photography is easier and more accessible than ever before! Thanks to digital cameras and high-capacity memory cards, I can take hundreds or thousands of high-resolution shots of anything that interests me. The gear is easy to use, the quality is great, and the convenience of seeing your shot right away is something our ancestors could only dream of. As you can see, my collection of digital files is very large! During the past 18 years, I have taken more than 70,000 pictures and videos which takes up 1330 GB of disk space! Just a few decades ago, the idea of an ordinary person having that many photos to go through was unheard of! I once watched a PBS documentary about Ansel Adams that said he would visit a national park and spend an entire day studying the terrain, positioning his camera, and waiting for the perfect lighting just to take a single photograph. Meanwhile, I might take a couple hundred photos in one day at a car show or other event! Hard drive space is cheap enough that I can store these files easily. The real problem is trying to sort through them. How do you organize and catalog that many pictures? By date, by subject, or by some other means? What I need is a way to tag, sort, and search this massive volume of images more efficiently. 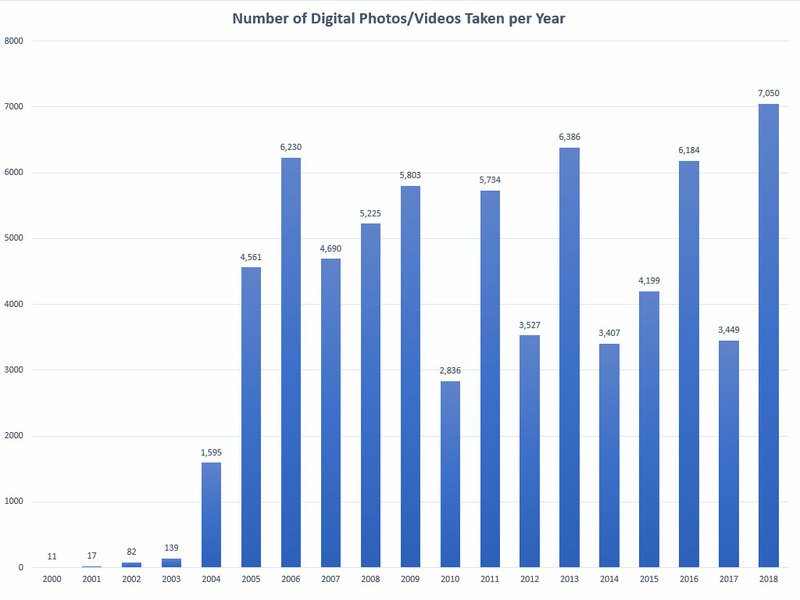 The problem will only get worse as my collection of digital photos grows larger and larger. If you have a suggestion or idea, please post a comment below! We have double the amount of files you do, and we have the same issue. We have a 2TB NAS (cheap these days) that we setup in the house to have the master files at. I personally have Adobe Lightroom ($99) pointed at the source (NAS) and use tags for tracking files – Like this program a lot… .. I wished there was a multi-user version of Adobe Lightroom. That would e NEar! Looking forward to hear from others..